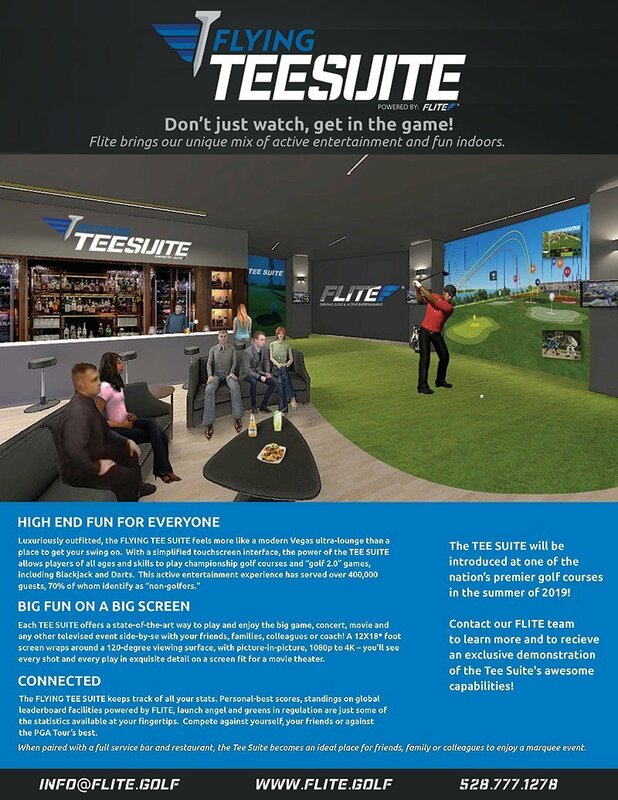 Tulsa, OK / Staten Island, NY – FlyingTee, the next generation of active entertainment, today announced the installation of a flagship TEE SUITE, at Empire Outlets, New York City’s first and only outlet center. The new installation will debut in 2020, alongside many designer retailers, an artisanal food hall and world-class open space that will draw millions of New York City residents and tourists to Empire Outlets each year. Empire Outlets will open to the public on May 15. The 22,000 square-foot TEE SUITE provides a unique, interactive experience in a relaxed and sophisticated lounge setting while allowing guests of all ages and skill levels to enjoy an easy-to-play version of golf and games indoors. 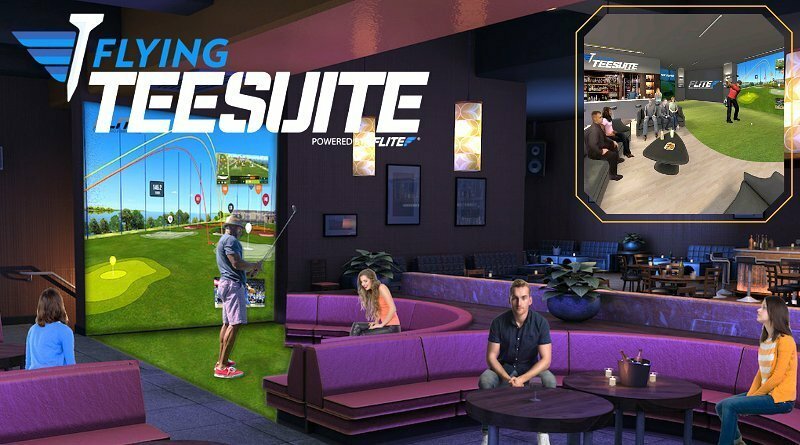 The TEE SUITE, powered by FLITE, provides the most accurate tracking for serious golfers and the ability to virtually play championship courses including Pebble Beach and Saint Andrews; while opening the door to all skill levels and even newcomers to the sport with in-bay games like Darts, Blackjack and Horse. The entertainment site will also serve as a one-of-a-kind viewing opportunity for sports, concerts and other major events. The social atmosphere of the venue will be accentuated by the breath-taking views of lower Manhattan and the Statue of Liberty coupled with higher end dining and a modern ultra-lounge bar experience. The TEE SUITE will be the company’s flagship location in New York City. “At Empire Outlets, we say it’s all about the experience. TEE SUITE will bring a one of a kind world class food and beverage and golfing entertainment venue to New York City’s waterfront,” said James Prendamano, CEO of Casandra Properties Inc, leasing broker of Empire Outlets. Located adjacent to the St. George Ferry Terminal, Empire Outlets will also feature over 100 designer outlet retailers and a 1,250-space parking garage. Major retailers at the center include American Eagle Outfitters, Jockey, H&M, Banana Republic, Brooks Brothers, Nordstrom Rack, Gap Factory and Columbia Sporting Goods, among others. Eateries are also flocking to Empire Outlets’ 40,000-square-foot food and beverage deck, which will provide unique views of Manhattan and an unmatched experience for visitors. Restaurants at the center include Shake Shack, Mamoun’s Falafel and MRKTPL, Staten Island’s first-ever artisanal food hall. Empire Outlets will open on May 15.